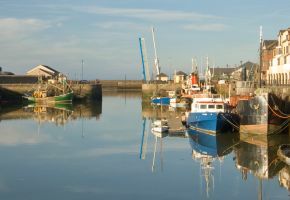 Maryport has a long history with fishing and busy docks, along with being the stop off for Georgian and Victorian ships. The Romans took advantage of the shoreline and sea and built Hadrian's Wall along the town sea front. The west facing shoreline offers stunning sunsets over the sea looking towards Ireland.